Hi everyone, I shared a card yesterday which featured the Floating Die Cut Frames technique and today’s card features the second card which was created at the same time. Yes, this technique actually allows you to create two fantastic cards at the same time. How awesome is that?! To recap, I used Granny Apple Green, Lemon Lime Twist, Shaded Spruce and Blushing Bride for my colour palette. I stamped up lots of images from the Tropical Chic stamp set and then die cut them out with the Big Shot. Position the die cut pieces on a piece of paper the size of your card base. Make sure you cover all of the space and once you are happy with how it looks place a piece of Press ‘N Seal over the top. The Press ‘N Seal will hold all of the die cut pieces in position while you do the next couple of steps. Use two rectangle dies from the Rectangle Stitched Framelits die set and position them over the panel to create a frame. Post-it notes will hold the dies in place while you run the panel through the Big Shot. You will end up with two pieces – a frame and a rectangle panel. We are using the frame to create today’s card. You do need to remove the die cuts/Press ‘N Seal from the base panel. Make sure you don’t remove the Press ‘N Seal from the die cuts at this point. 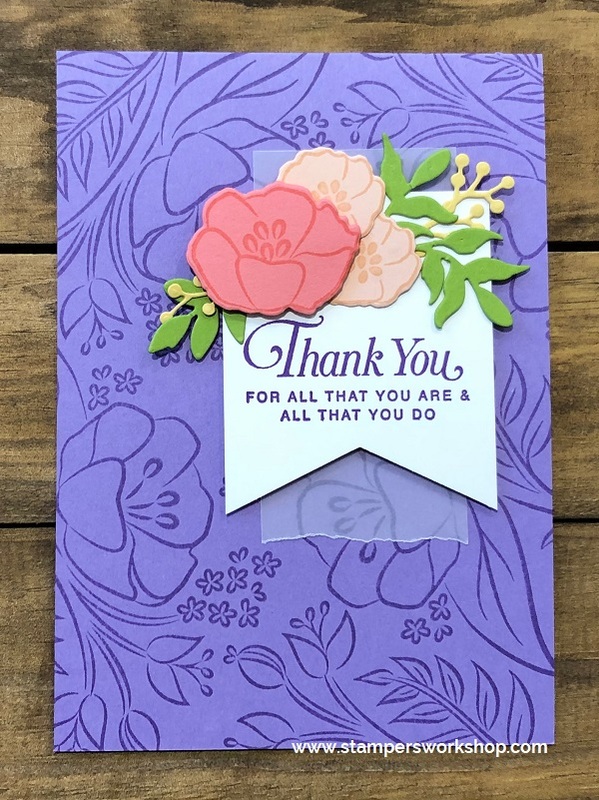 Flip the die cuts upside down and adhere Stampin’ Dimensionals over every die cut piece. Once this is done, position the die cuts on your card base. You can now safely remove the Press ‘N Seal. All that is left is to stamp your sentiment and add a little bling. I really do love this technique. I think it will be fun to try it with different shapes too – perhaps an oval or circle? I’ll be sure to give it a try and I hope you will too. And isn’t the Tropical Chic stamp set so fun?! Such a great set. I cannot wait to use it some more. Hi everyone, I recently shared a couple of cards (see here and here) featuring the Floating Die Cut Frames technique which was, as far as I can tell, originally pioneered by Jennifer McGuire. It’s been an incredibly popular technique and one which I have really enjoyed too. Aside from the obvious beauty of the cards you create, the other positive factor is that you create two cards at the same time. I am sharing the first card today and tomorrow will share the second one so please pop by again tomorrow if you are interested to see what I created. 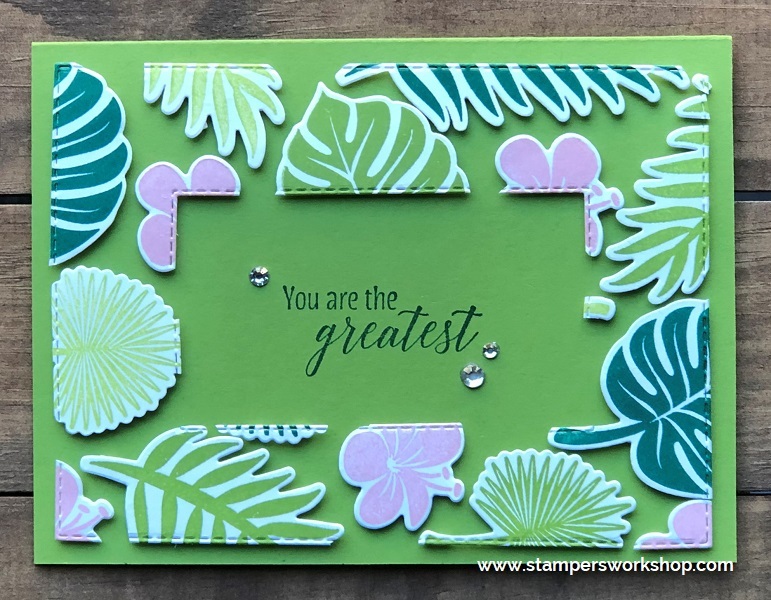 I haven’t given much love to the Tropical Chic stamp set and coordinating die set (currently still available as a bundle) and I thought it might be fun to use for this technique. I’m sorry I currently don’t have step by step photos (or a video) showing this technique. If you need further clarification, please do not hesitate to let me know. I started by working out my colour palette – Granny Apple Green, Lemon Lime Twist, Shaded Spruce and Blushing Bride. I then stamped up lots of images from the Tropical Chic stamp set before die cutting them all out with my Big Shot. Don’t put your Big Shot away as you are going to need it again. Take a piece of paper the size of your card base. Position the die cut pieces over this piece of paper and make sure you cover all the space. Once you are happy with the spacing take a piece of Press ‘N Seal and place it over this panel. This will hold all of the die cut pieces in position while you do the next couple of steps. I used two rectangle dies from the Rectangle Stitched Framelits die set and positioned them over the panel to create a frame. I used post-it notes to hold the dies in place and then ran the panel through the Big Shot. This created two pieces – a frame and a rectangle panel. We are using the small rectangle panel to create today’s card. Before we finish with the Big Shot, take your Embossing Mats and card base. Position a Rectangle Stitched Framelits die which is one size bigger than the panel you just cut out on the card base. Run it through the Big Shot. The Embossing Mat allows you to emboss the die and not cut it out. It makes a great subtle frame. Okay, the next step is to carefully remove the die cuts from the panel so we can position it on our card base. Make sure you don’t remove the Press ‘N Seal from the die cuts at this point. 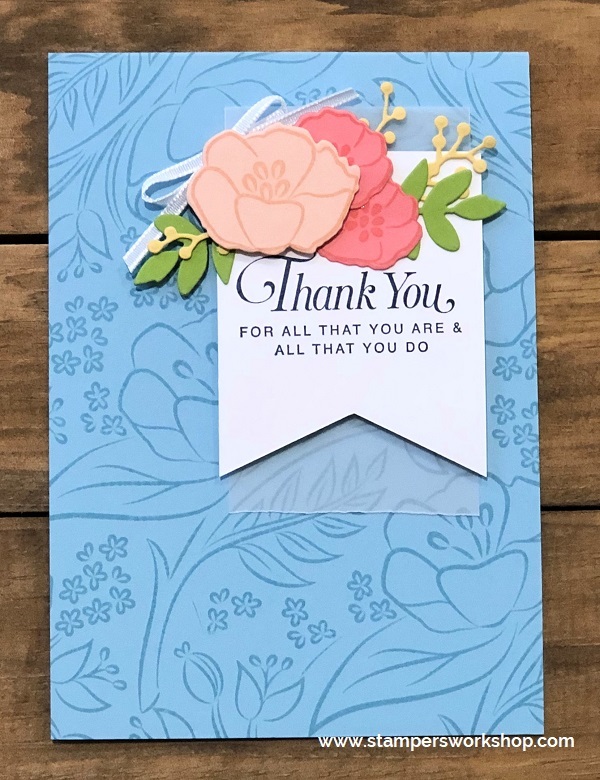 Flip the die cuts upside down and adhere Stampin’ Dimensionals over every die cut piece. Once this is done, position the die cuts on your card base. You can now safely remove the Press ‘N Seal. All that is left is to stamp your sentiment. It’s such a fun technique and it was so easy to do. It is a bit annoying putting on lots of Stampin’ Dimensionals and removing the backing and that’s the part which took me the most time (thank goodness for tweezers as that helped me a lot). It was so worth it though. I hope you’ll pop by tomorrow to see the second card created from this technique. 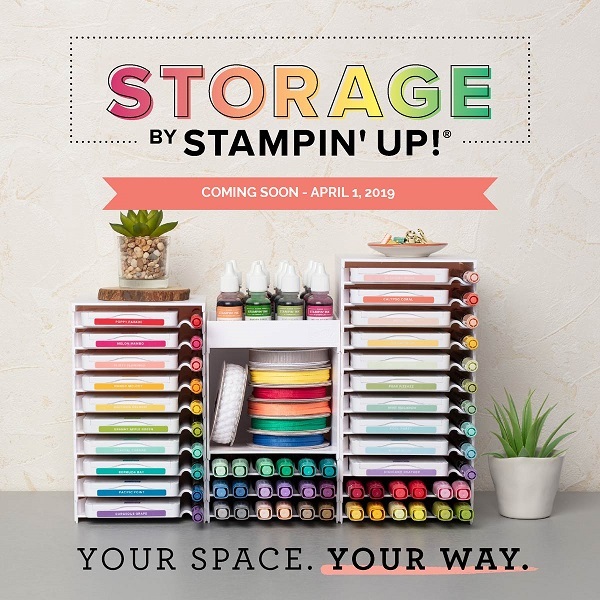 Hi everyone, you know I am a really big proponent of using stamp sets for more than one card. I really want to encourage you to get the most out of everything you buy from me. Plus, I want to encourage myself to do the same. I often make cards where I only vary one or two things such as the colour palette or the sentiment and other times every card I make is quite different from anything I’ve done with the stamp set in the past. Today I am featuring a CASE of a CASE. What does CASE mean? CASE stands for Copy And Share Everything but you’ll notice we talk about the card as being CASEd. It’s a card you make which has been inspired by the work of someone else. Sometimes it is a fairly faithful replication and other times there might only be selected elements which have inspired you. You must give credit to the original designer especially if you decide to post your version on social media. Anyway, back to my CASE of a CASE. I recently shared a card inspired by a card featured on page 3 of the Occasions catalogue. You can see that card here. I really loved it and decided I wanted to make it again but this time using Highland Heather as my card base. It’s one of my favourite colours in the range. Oooh, that is a big call, isn’t it? It’s true though. So, I’m using the All That You Are stamp set and I’ve inked up the large floral image with Highland Heather and stamped all over my cardstock. 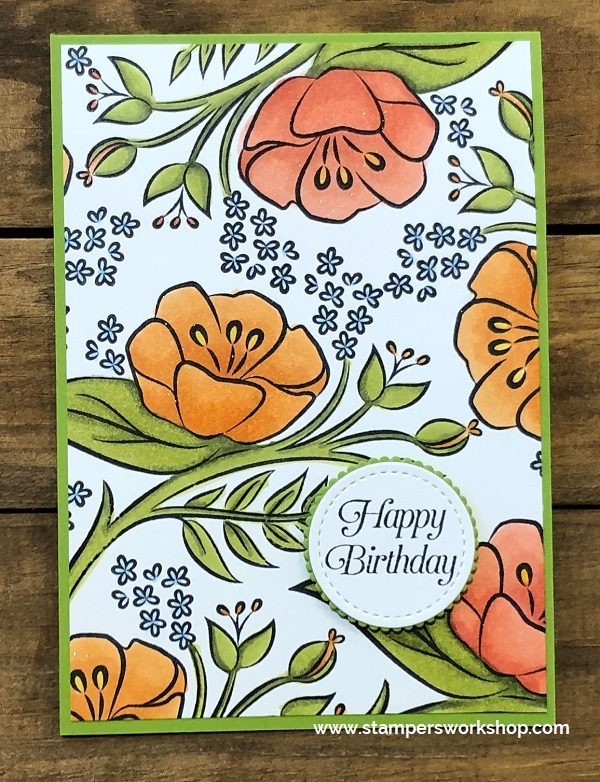 I stuck with the same colour palette as my original card for the rest of the design –Flirty Flamingo, Petal Pink, Daffodil Delight and Granny Apple Green. I stamped out some of the floral images but reversed the colours for the flowers (the bigger flower is Flirty Flamingo and the smaller flowers are Petal Pink). I cut the flowers out using the coordinating dies from the Frosted Bouquet Framelits dies. 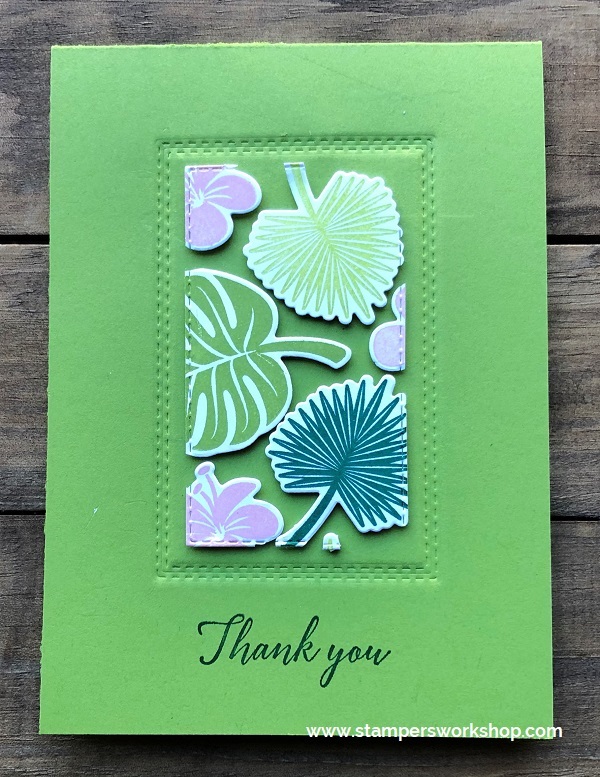 I also needed a few more die cut leaves – thank you Rose Trellis die set. I stamped the sentiment, cut some vellum and then layered all the bits and pieces together. To be honest, I think I prefer this version to my first attempt. What about you? Do you have a preference? 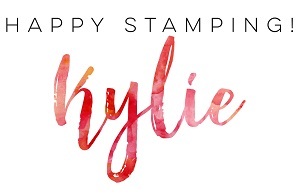 Hi, it’s here – the Retiring List has just been released by Stampin’ Up! There are some really terrific products which are retiring. The best and the most convenient way to keep up to date with what is on the list is to visit the Last-Chance Products page on my Online Store as it will be updated regularly. 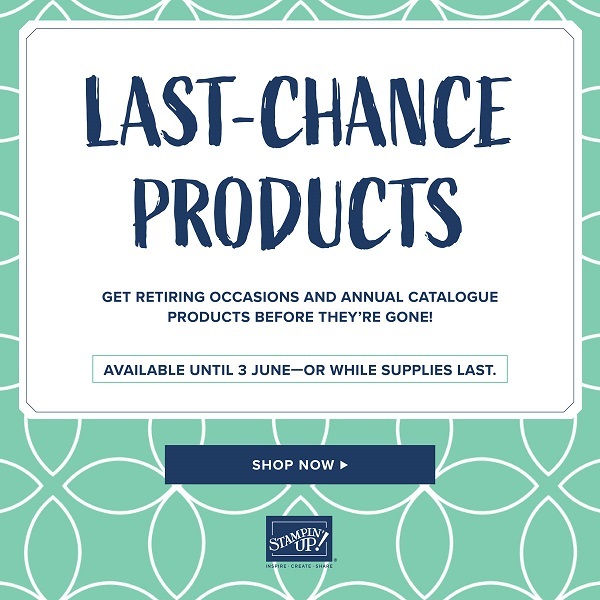 This retiring products list contains items from the 2019 Occasions catalogues. Products are only available until 03 June 2019, or while supplies last. This retiring products list contains items from the 2018-2019 annual catalogue. Products are only available until 03 June 2019, or while supplies last. Also, remember that the bundles will be discontinued even if some of the products do make it into the new catalogue. If you are after something that comes in a bundle, think about getting it now to take advantage of the discounted price. Hi everyone, the Wonderful Romance stamp set is quite lovely. It might surprise you to learn that what first caught my attention with this stamp set was not the images I could colour (that’s usually what I notice first) but the sentiments. I love the fonts used. I also love those sweet sentiments. Of course, the colouring did appeal to me as well – I cannot deny that. It is quite an easy card to make. The part which took the longest was the colouring and even that didn’t take too long. To start, you need a sheet of Old Olive cardstock which you cut and score to size. Take the two foliage stamps and stamp them randomly over the background. Next, take a piece of Whisper White cardstock and cut it your preferred size. Stamp the big floral image from the Wonderful Romance stamp set and colour it in with your preferred colouring medium. I used Stampin’ Blends and then added a bit of Wink of Stella to the flowers. To finish off this panel I wanted to add some spattering. The stamp set does come with a “spatter” stamp but I wanted a more random look. To achieve this I used my Aqua Painter and flicked on my ink. I love how it looks! Before adhering the finished panel to the card base, take a piece of vellum and stamp your choice of sentiment. I used Blackberry Bliss ink and then set it with my Heat Tool as you can easily smudge this ink. Fold the vellum around the stamped panel and secure on the back. Then adhere the panel to the card. The final touch was to add some gold sequins from the Metallic Sequin Assortment pack. I really like this card and may try it again. I like the idea of stamping and embossing the sentiment in gold. I would also like a little more contrast with the leaves so would probably work on that a bit more. I love the overall design of this card. 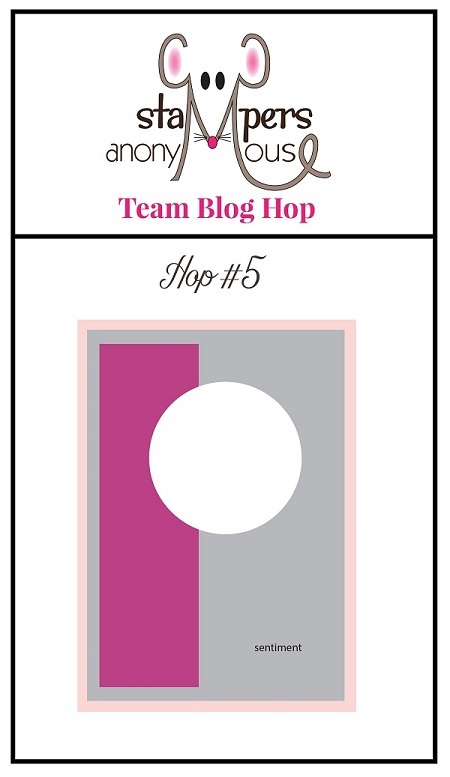 Hi everyone, happy Blog Hop day! 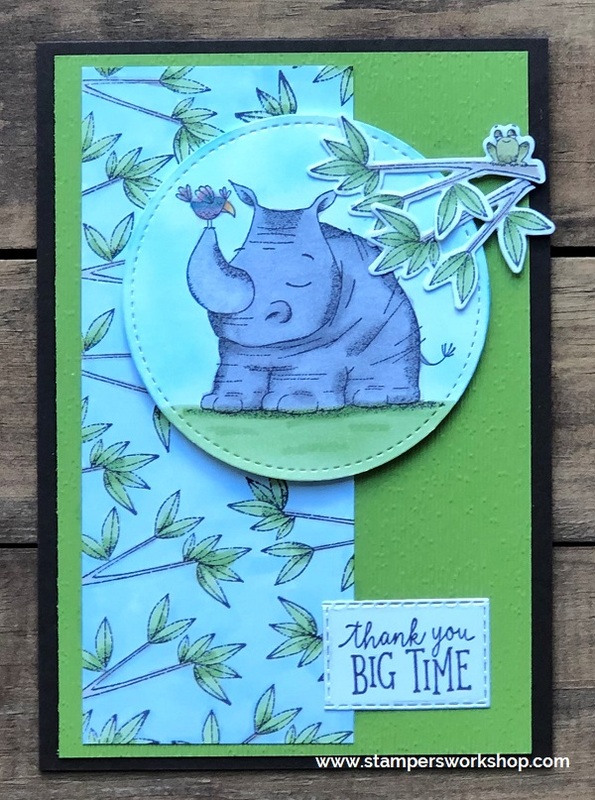 Today, I am playing along with my fellow Stampers Anonymous Team Members in a Sketch Challenge Blog Hop. I’ve used the super cute Animal Outing stamp set and coordinating Animal Friends die set (available as a bundle) for my card. I used the stamps to create my own patterned paper as I thought that would be fun. It was so simple to do too. I found this to be quite the challenge but it was so fun too. 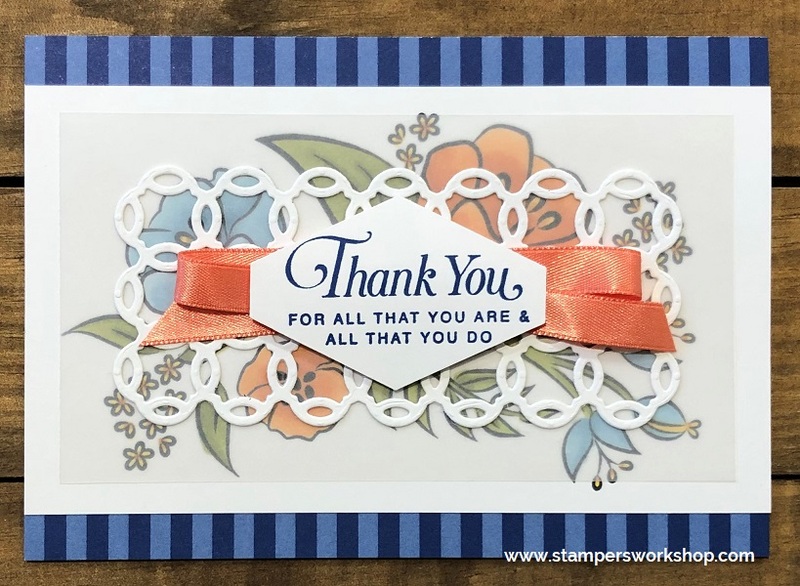 I know you are going to love all the inspiration shared by my fellow Stampers Anonymous Team Members. I think they are all so creative and inspirational. I also hope you’ll give this challenge a try too. If you do, please share. I’d love to see what you come up with. Hi everyone, after making the two cards (which you can see here and here) with the Floating Die Cut Frames technique I had a lot of leftover coloured and punched our butterflies. I had used the Butterfly Gala stamp set and the coordinating Butterfly Duet punch (available as a bundle). If you like butterflies you will love this set. I was toying with the idea of making another set of cards using the above technique. Instead, I decided to go for something super quick and simple. In the end, I decided to simply scatter the butterflies all over a white panel and then pop up a small sentiment. I used the Happy Birthday stamp fro the Itty Bitty Greetings stamp set. I really like the bright and happy colours with the simple little greeting. A couple of different ways you could switch this card up would be to add a wash of blue to the background. 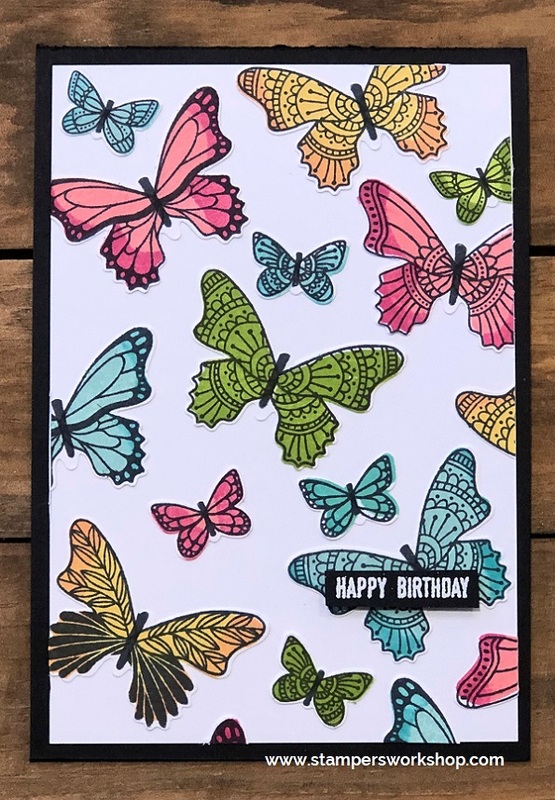 You could also add Stampin’ Dimensionals to the butterflies and have them pop up off the page. I think that would look super cute! Hi everyone, a little while ago I shared a card where I had coloured the floral image from the All That You Are stamp set with really bright and happy colours. I ended the post by saying I would like to try this card again using a different colour palette. Today’s card is the result of this challenge to myself. I’ve also changed the orientation of the card. I’m so happy with it. The colour palette I chose was – Cajun Craze, Pumpkin Pie, Balmy Blue, Granny Apple Green and Mango Melody. Isn’t this a gorgeous combination? I’m loving it! This card is super easy to make but I think it is quite pretty. All you need to do is repeatedly stamp the floral image and then colour it in with your preferred colouring medium. After you’ve finished, add the sentiment. I hope you’ll also challenge yourself to use a different colour palette the next time you sit down to create. Hi everyone, one of the things I’ve been enjoying lately is CASE-ing (Copy And Share Everything) the designs in the catalogues. It makes me think outside my usual way of creating. It also helps me when my mojo seems to be on vacation. I’m using the All That You Are stamp set again. Isn’t it a beautiful stamp set!? I loved both of the card examples featured on page 3 of the Occasions catalogue and knew I would be CASE-ing them both in due course. What I liked about the card I am sharing today is that there is no colouring (and you all know how much I enjoy colouring) but the card is full of happy colours. I started with a sheet of Balmy Blue cardstock and cut, scored and folded it to make my card base. Next up I inked up the large floral image in the All That You Are stamp set with Balmy Blue ink and repeatedly stamped it over the card base. I LOVE how this looks. I grabbed a couple of different colours of cardstock – Flirty Flamingo, Petal Pink, Daffodil Delight and Granny Apple Green. I stamped out some of the floral images and then used the coordinating dies from the Frosted Bouquet Framelits dies. Yes! This die set does coordinate with the All That You Are stamp set too. How cool is that?! I also die cut some leaves using the Rose Trellis die set. The next step was to stamp the sentiment, cut some vellum and then layer all the bits and pieces together and voila it was finished. My card isn’t exactly the same as the one featured in the catalogue but it does come pretty close. Oh and here’s a little hint too. I usually use the Banner Triple Punch to create my banner but I had put it away and I was too lazy to go and get it. On my craft table, I still had the Tailored Tag Punch so I used this to create the banner look. It was so easy! I really admire the designers whose cards feature in the different Stampin’ Up! catalogues. They create the most beautiful cards and it is a real delight to recreate their designs or to simply be inspired by their creations. I hope you too are inspired to CASE a card and put your own spin on it.